1. 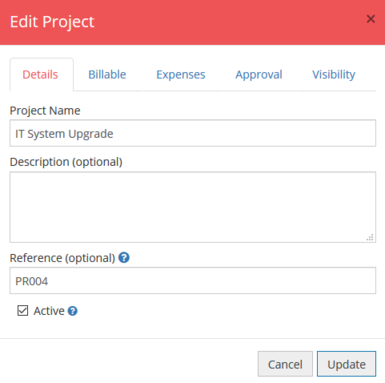 Navigate to Admin and click Projects. 2. Click Edit next to the project you wish to edit. Choose if the project is active or not. Only active projects are visible to users. 4. 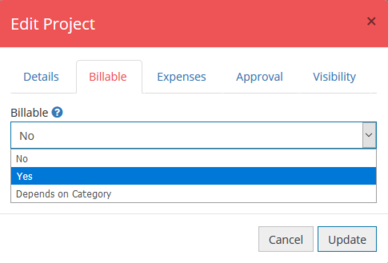 On the Billable tab you can select if the project is billable to a customer or not. The Depends on Category option enables you to select which of your Categories determines if the project expense is billable. 5. 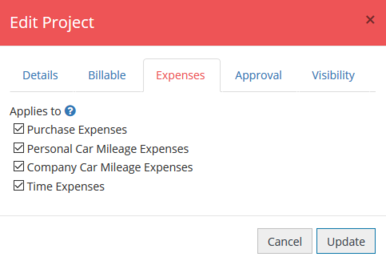 From the Expenses tab you are able to select which types of expenses the project will be available for. 6. 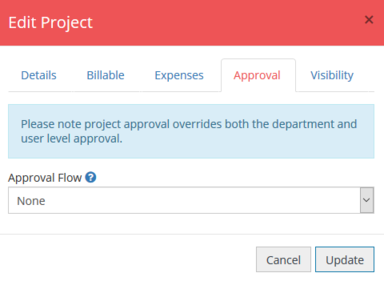 The Approval tab lets you choose a specific approval flow that will be used in place of a user's regular approval flow when they select this project on their expense. You will need to have created the approval flow in Admin Approval Flows, before it will be available for you to select from the drop down. 7. 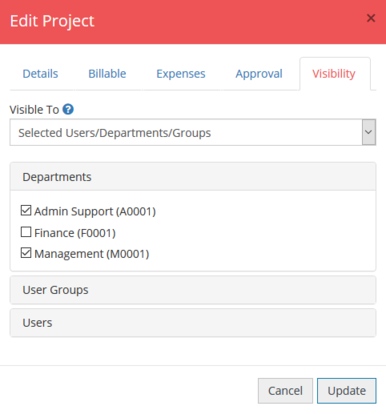 On the Visibility tab you can select which users, departments, and user groups can see this project when completing their expense form. 8. Once you are happy with the settings click Update.